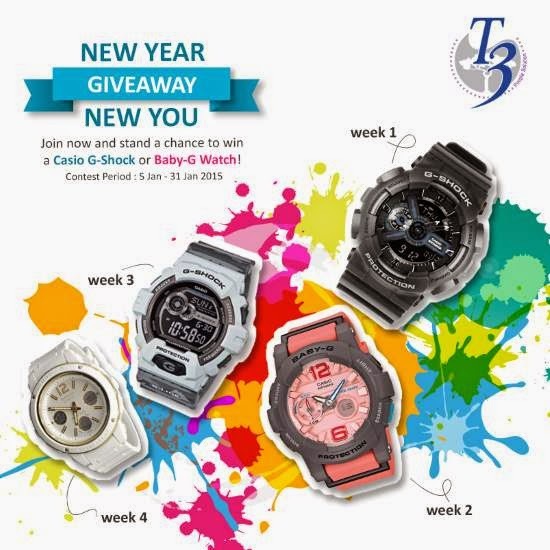 Home » Casio » Free » lucky draw » qna » [Winner List Updated Weekly] T3 New Year New You Giveaway Contest: Win a Casio G-Shock or Baby-G Watch! [Winner List Updated Weekly] T3 New Year New You Giveaway Contest: Win a Casio G-Shock or Baby-G Watch! Like T3 Malaysia facebook page and answer 3 simple questions. Visit T3 New Year New You Giveaway contest page for more details.